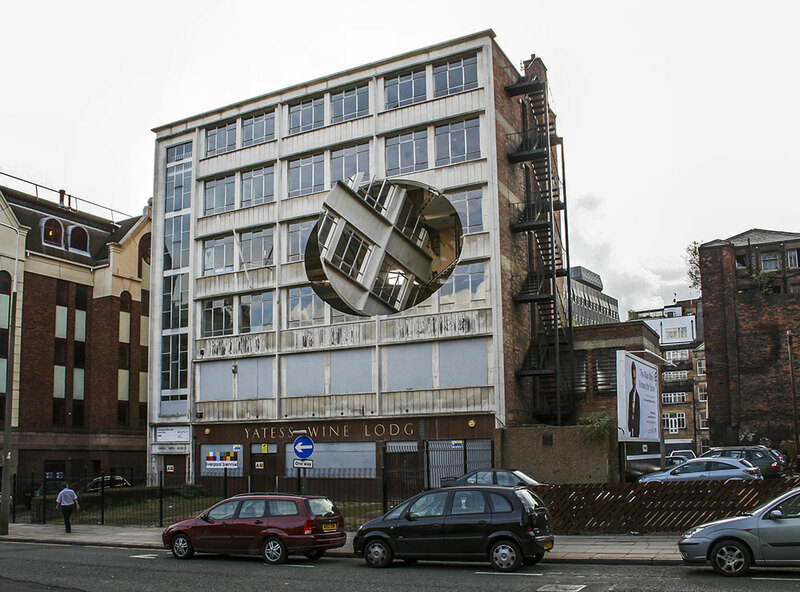 The work consisted of a vast 10 metre diameter ovoid section of the facade of a disused building in Liverpool. 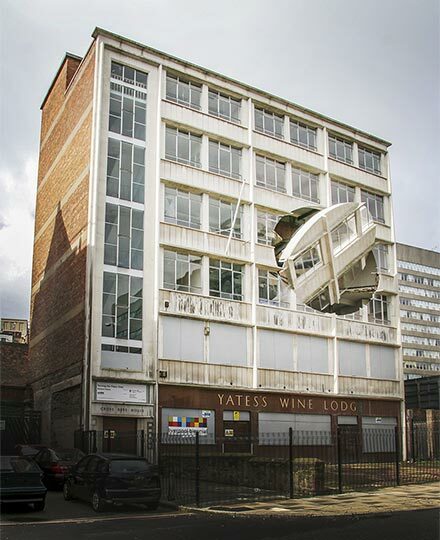 This section of facade had been cut free allowing it to rotate. 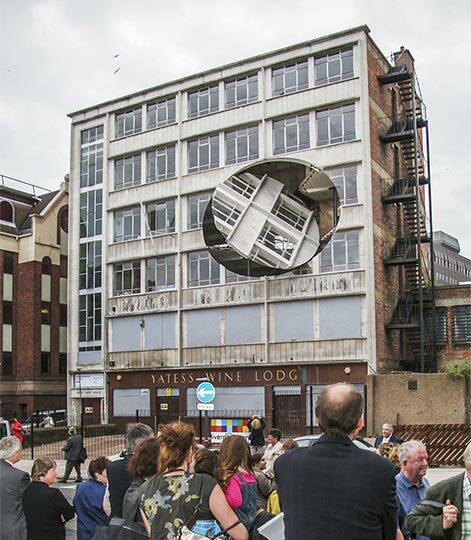 This was made possible by mounting the ovoid section of architecture onto a central spindle, aligned at a specific angle to the building. When at rest the ovoid section of façade fitted flush into the rest of the building. The angled spindle was, however, placed on a set of powerful motorised industrial rollers, allowing it to rotate 360 degrees continuously. 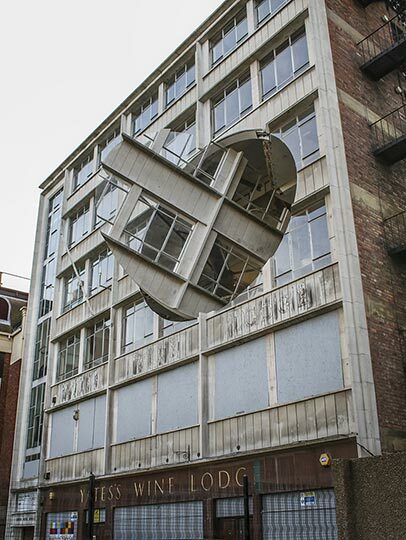 As it rotated, the facade not only became completely inverted but also oscillated into the building and out into the street, revealing the interior of the building, and only being flush with the building at one point during its rotation. This created an acute sense of disorientation and even danger for the viewer as the architecture physically encroaches on them.